9. 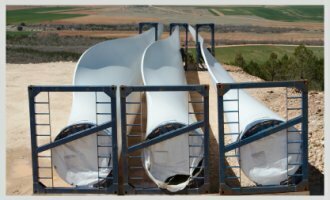 Links to wind turbine manufacturers. There are a very large number of sites dealing with wind turbines and wind power. In the present context, the sites of interest are those of manufacturers of wind turbines. These are the sources of basic data on wind turbines that are needed for the WindPower program. The list below contains only those manufacturers whose turbines are in our database. As turbines are added to the database so this list of manufacturers will expand. Manufacturers of 'small' turbines - typically from 1 kilowatt to around 100 kilowatts. Manufacturers of large wind turbines - typically from 100 kilowatts to greater than a megawatt. Next is the download Web page from which either a trial version of the program can be downloaded or the full version purchased and downloaded.